This involves removal of vitreous gel from the eye. 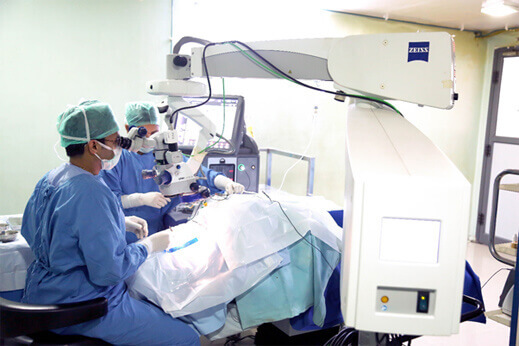 It is a surgical procedure where small ports are created to introduce instruments into the eye and then the surgery performed with the aid of special lens which help in visualising the inner aspect of the eye. Traditionally the surgery was performed using a 20 gauge instrument which needed the opening up of conjunctiva and then designing a 1.4 mm incision on the eye. With rapid development in the instrumentation, smaller gauge instruments like 23 gauge, 25 gauge and 27 gauge are being used in order to minimise the trauma to the eye. Smaller gauge instruments also help in working very close to the retina with greater degree of safety. Moreover, the surgery with smaller gauge instruments is suture less. This results in quicker surgeries, lesser post operative inflammation, tissue scarring and more rapid healing of the wound. Advent of high speed cutters (5000 cuts per minute) has also resulted in greater precision in surgeries with features which improve the safety of the surgical procedure thereby increasing the quality of surgeries. At Neoretina, we perform microincision sutureless vitrectomy surgeries. Vitrectomy is sometimes accompanied by procedures like sclera buckle placement in case of retinal detachment or trauma. Similarly, procedures like membrane peeling and LASER are adjuvant steps in vitrectomy. Air, gas, Silicone oil or heavy liquids may also be used during the surgery. Air or gas spontaneously gets absorbed in a few days after the procedure. It is advisable to avoid flights or travel to high altitude areas till the gas has been completely absorbed. Silicone oil when placed will need another surgery 3- 6months after the injection for their removal. When oil or gas are placed inside the eye after vitrectomy, post operative positioning usually in the prone position needs to be maintained for best results. 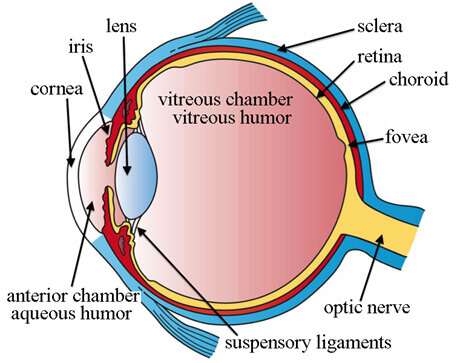 The visual recovery after vitrectomy would depend on the extent of damage which might have occurred prior to the surgery and the ability of the eye to recover. The extent to which vision would improve would become apparent 4- 6 weeks after the surgery. Our Hospital is equipped with Lumera OPMI microscope with resight wide angle viewing system for the best viewing experience for a retinal surgeon. We also have the constellation vitrectomy system from Alcon which provides high speed 9500 cuts per minute, precise cutting experience with a facility to maintain a stable IOP throughout the surgery preventing any possibility of globe collapse intraoperatively. This is an added safety feature which helps to prevent any untoward damage to the eye.